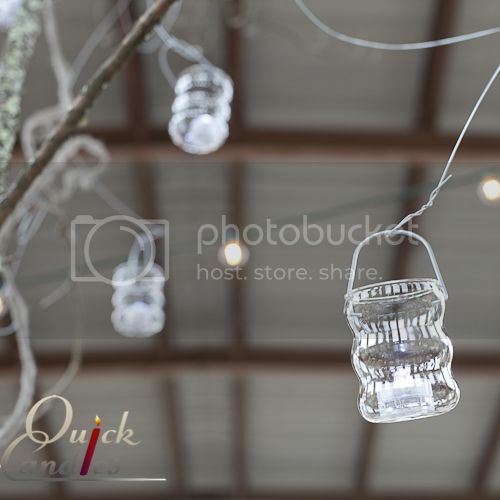 Looking for a fun way to illuminate centerpieces? Then these submersible LED tealights are for you. Create amazing glow from inside centerpieces. Simply twist to turn on, place inside a water filled Cylinder vase or container, and you have instant illumination. Pair these festive LED tealights with a vase filler or water pearls to customize your look. These LEDs create a unique reflective light when submersed in water. This product is so decorative you can use outside of a container and water to simply add a little glow around your home or event. Bulb is clear until it is turned on. Choose from Blue or White LED lights. Size: 1.0"(H) x 1.125"(W). Battery time: Approximately 100 hours. Two long life batteries come with this tealight already installed. These tealights come with a protective plastic circle inside to ensure battery is not turned on before you receive it. Just twist off the bottom and remove the red plastic and your tealight battery will turn on.